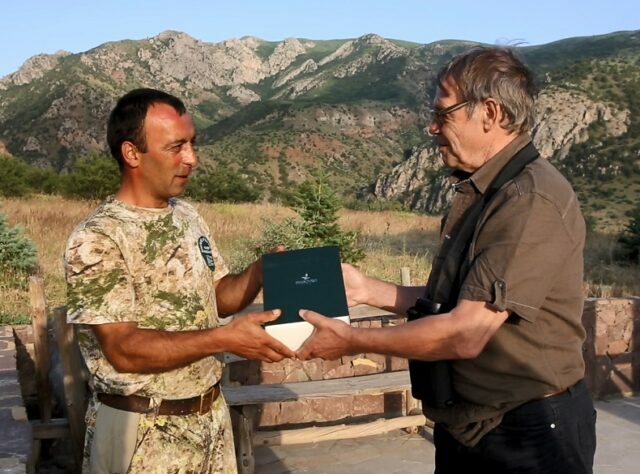 World Land Trust (WLT) has an opportunity to help create a new reserve in Armenia, following a visit by WLT founder John Burton to the Caucasus Wildlife Refuge. John was accompanied on the trip by writer and WLT Council member Simon Barnes and photographer David Bebber. 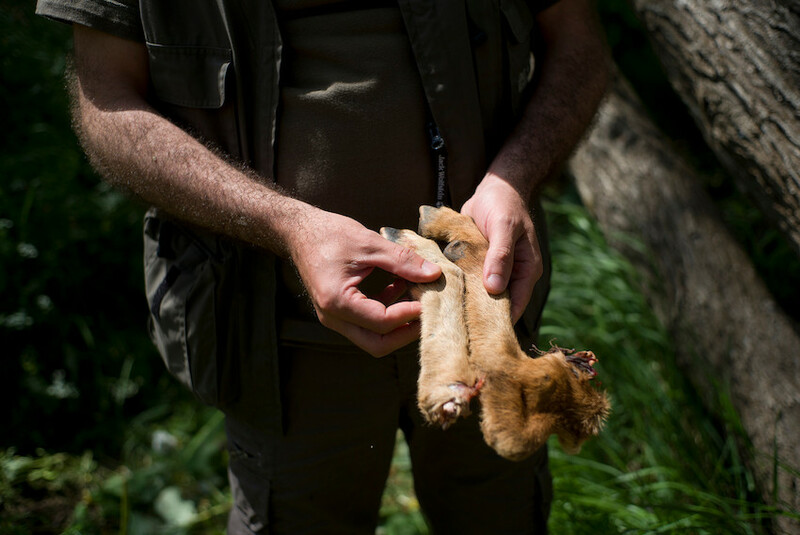 As well as reviewing the conservation successes of WLT’s Armenian partner, Foundation for the Preservation of Wildlife and Cultural Assets (FPWC), and presenting Keeper of the Wild Ranger Gor with a pair of binoculars donated by Swarovski, they found evidence of poaching in an area neighbouring the Refuge. WLT established a partnership with FPWC in 2010, after John met Ruben Khachatryan, an Armenian filmmaker turned conservationist who founded FPWC. Impressed by FPWC’s community-centred approach to conservation, WLT established a land acquisition project with them in Armenia. Most of the land that is in private ownership in Armenia is owned by communities rather than individuals, so FPWC negotiates payment for long-term leases with the communities, in order to ensure the land is protected whilst benefiting the communities as well. John was able to see the benefits of this income on this visit, as a school which had been derelict a few years ago due to lack of maintenance had been refurbished using the funds that these leases had generated. 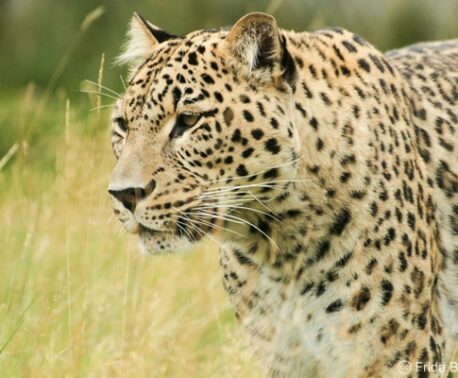 WLT has a long-term commitment to help create a corridor for wildlife between Khrosov State Park and reserves in Iran near the Azerbaijan border, which are all important areas for the survival of Caucasian Leopard. They harbour healthy populations of Mouflon, the wild sheep, and Bezoar, the wild goat/ibex, which is the main prey of the Caucasian Leopard. 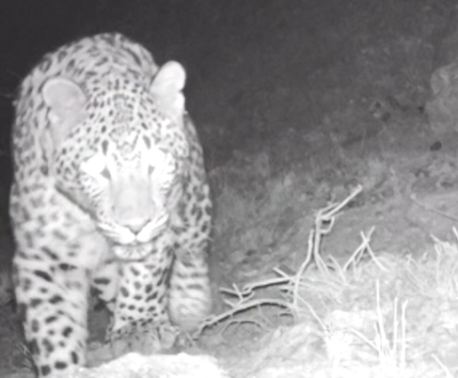 Protecting these species from hunting provides a better food source for the Leopard (and having healthy wild populations means less Leopard and Wolf predation on livestock). WLT aims to raise funds for a lease on the area described above. To read more about the site visit to Armenia, the work of the rangers and the mountain landscape, read our interview with Simon Barnes here.